So another day, another birthday. Is it just me or is this year flying by really fast. I have created a very elegant masculine (yes those two words go together, at least they do in my head). 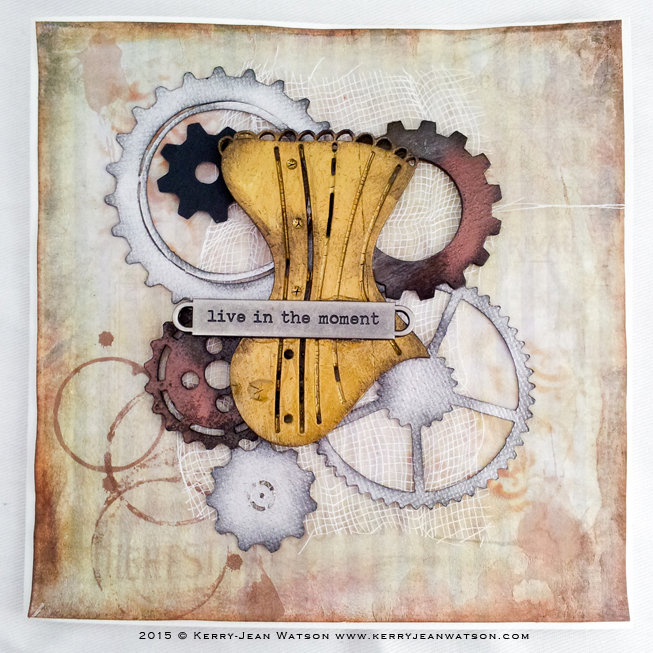 I have used my Cafe Au Lait collection again for this one but I added a few gears and wood ephemera. 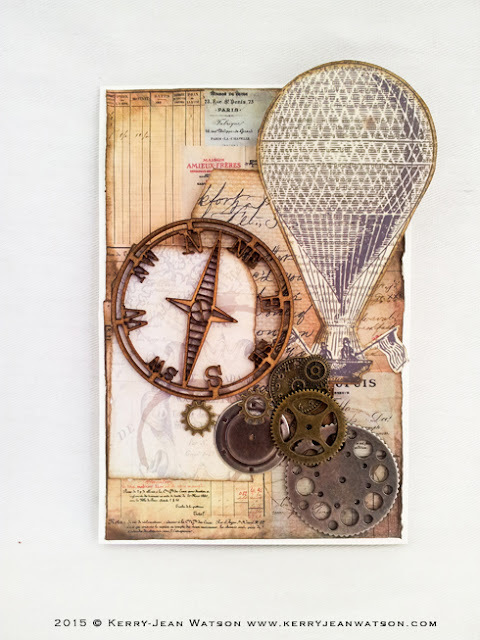 The hot air balloon in from one of the older Kaisercraft collection which I cannot recall right now. So what do you think? 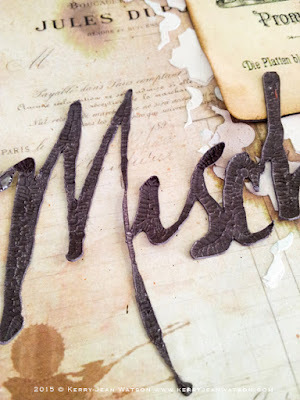 I even gave doing some typography a try, which came out rather well. 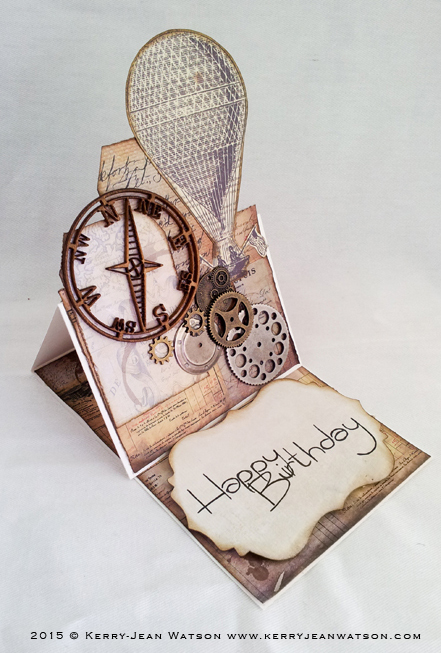 Remember I do make custom made cards. 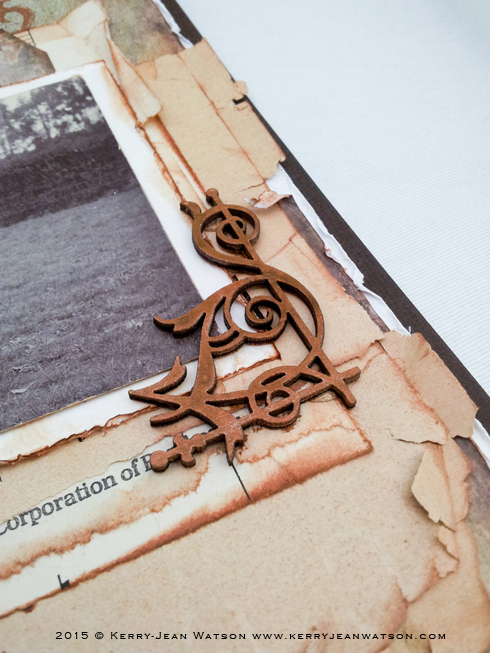 You can email me or head over to my Etsy and "convo" me there. I hope you like. Leave a comment or question and Happy Crafting! 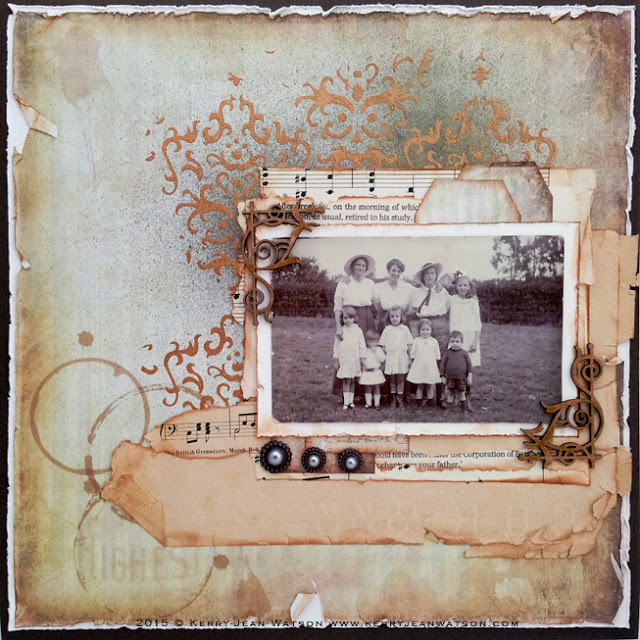 Cafe au Lait: Vintage Layout "Times Gone By"
I am really loving working with this new collection Cafe au Lait. 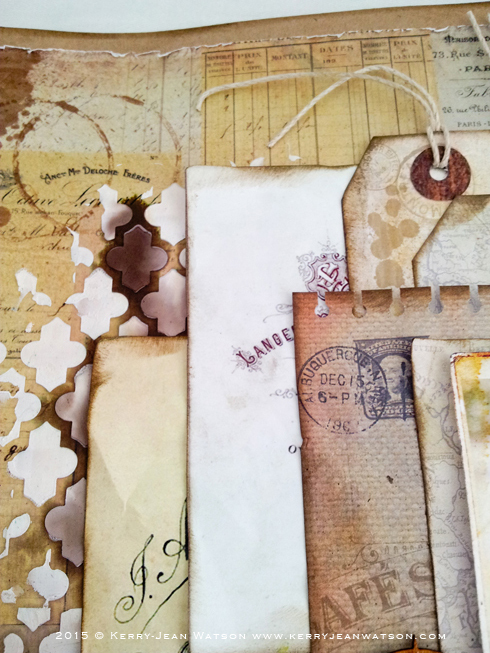 Today I have a lovely vintage layout using some of the 12x12 papers which I had printed at a local print shop on A3 paper. This time I went with simple 80gsm paper, which surprisingly still held up well to what I threw at it. 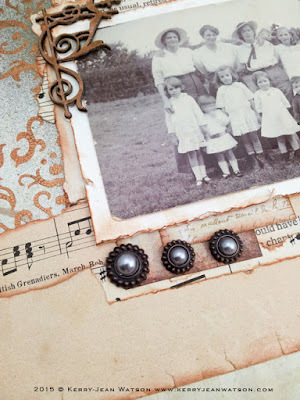 The photo is of, I think, my maternal grandmother's extended family. I am not too sure as there were no names on the photo that I found in my family pictures. I really just like how the photo looked. 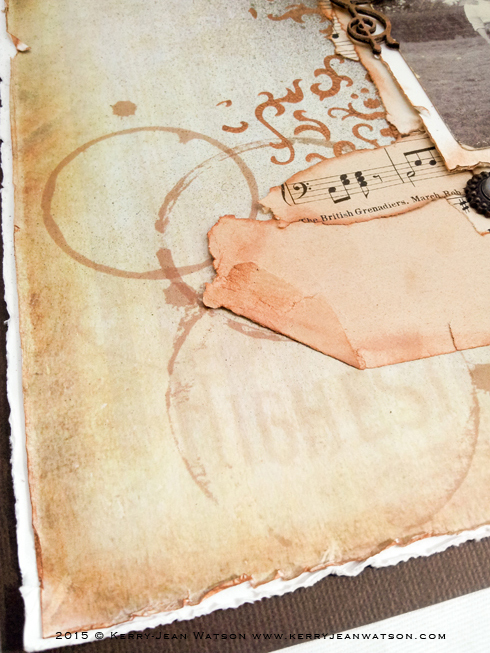 I have used old music sheets stacked behind the photo with a couple old book pages as well. 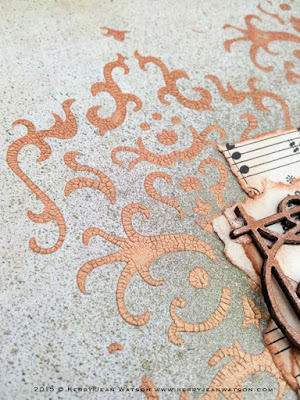 The Donna Downey Studio Damask Stencil in the background was done using Prima's Finnibair Art Extra Vagance Texture Paste - Copper Crackle with a bit of misting over the top. I had a few scraps of the Cafe au lait cardmakers set on my desk which I turned in to tags and tuck them in behind the photo. The wood flourishes are Kaisercraft Wood flourish Ornate Corner which were painted with Tim Holtz Distress Paint- Antiqued Bronze which came up really well. Remember to leave question or comment and Happy Crafting! 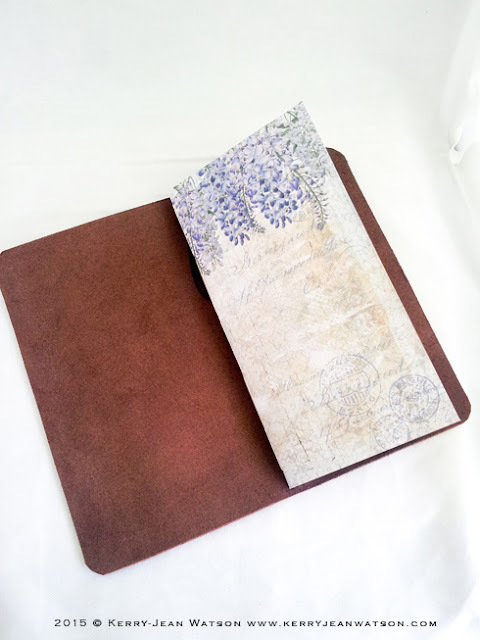 Midori Traveler Notebook enthusiasts I thought I would show you all how I go about making inserts/booklets for my Travelers Notebook size Midori. 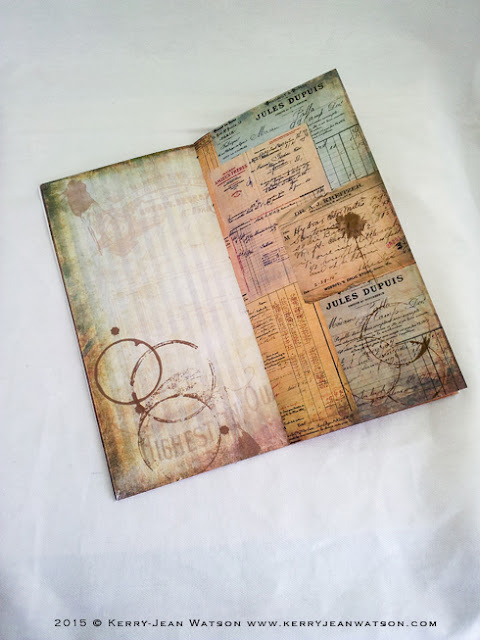 So these are the 12x12 size digital papers of my collections that have been printed on A4 size paper. 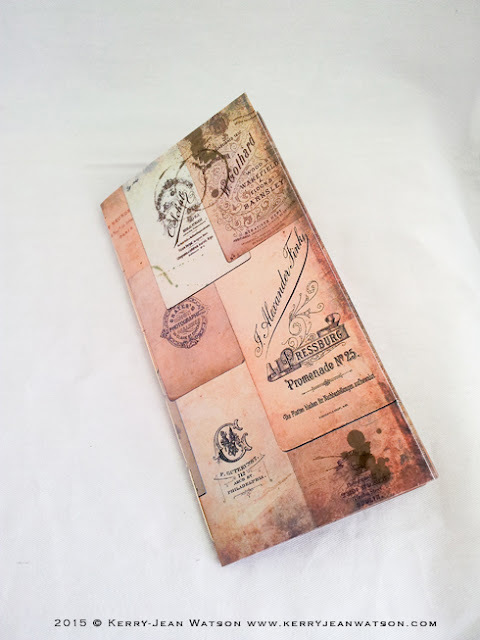 The cover was printed on 200gsm paper stock and the rest of the booklet is printed on 80gsm on both sizes. Here it is in the Fauxdori I have available in my webstore. This is the same format but done using the Forgotten Meadows collection which comes up really pretty. Both inserts added to the Fauxdori using the expansion band that comes with the single string fauxdori. Now to see how I put the booklets together. Today I have something special. A GIVEAWAY! Every one loves a give away. 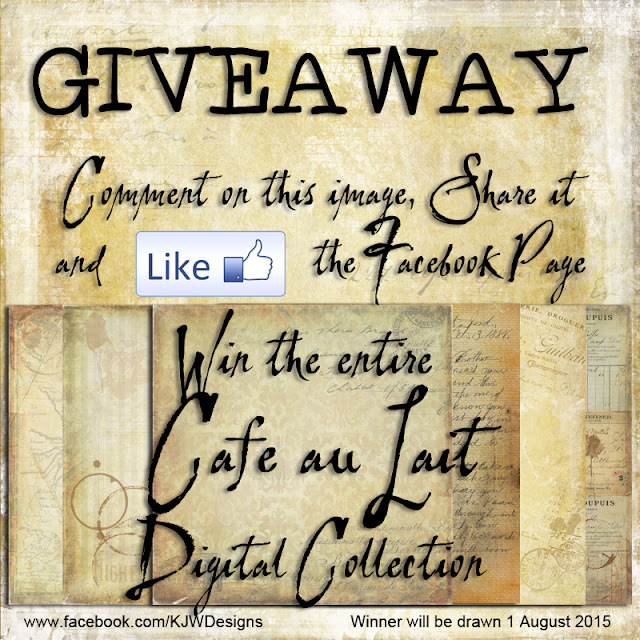 So to enter, head over to my Facebook page and find this image. Like the page, comment on the image it and share it! Now for what is up for grabs. 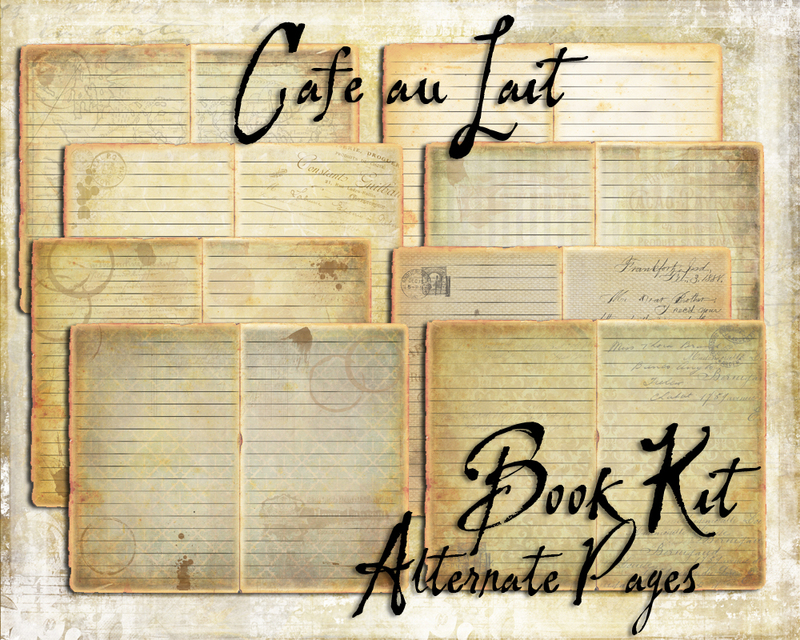 The entire Cafe au Lait digital collection. 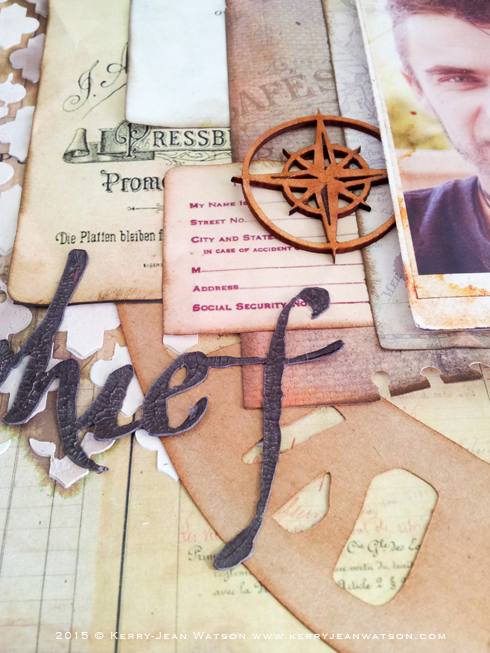 That means the 12x12, cardmakers set, 8.5x11, the book kit and ALL addons/alternate content. How awesome is that?! To see the collection in all its glory here is a flip through to see what it is all about. Hello crafters, creative ones and those just stopping for a read. 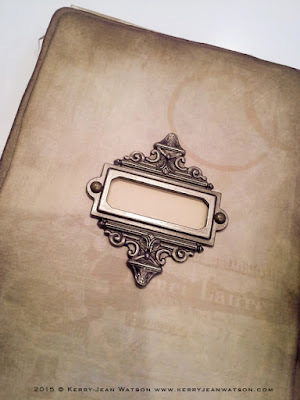 I dedicate this blog post and project to the Swapp Family in Utah after their second eldest son took his own life due to depression. Cory is an example for what almost happened to me at the same age. 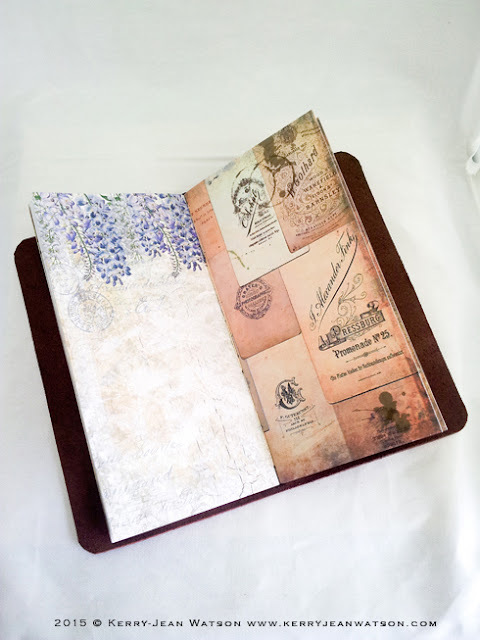 I have been working on the book kit from the Cafe au Lait collection. This time I worked on a different style of binding, well not entirely different style. 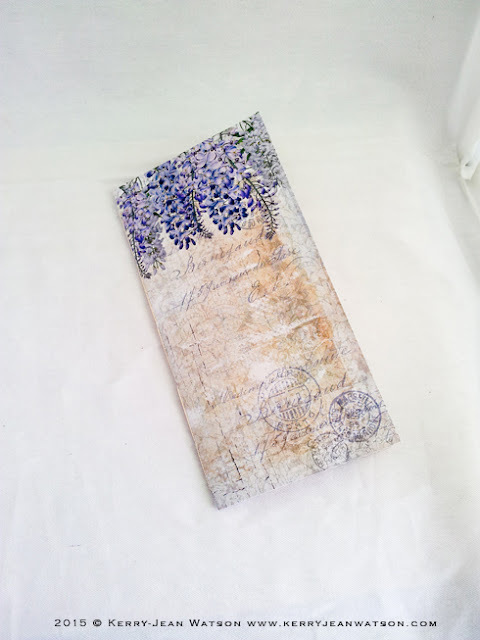 I did long stitch through plaster board mesh. Boy was that fun! Not! 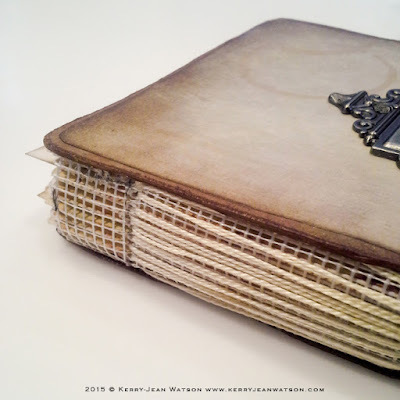 I had to redo the binding 4 times because I kept making mistakes. But in the end I was Successful! And it looks pretty awesome to boot. I used both the original pages from the book kit as well as the alternate ones that were released last week. 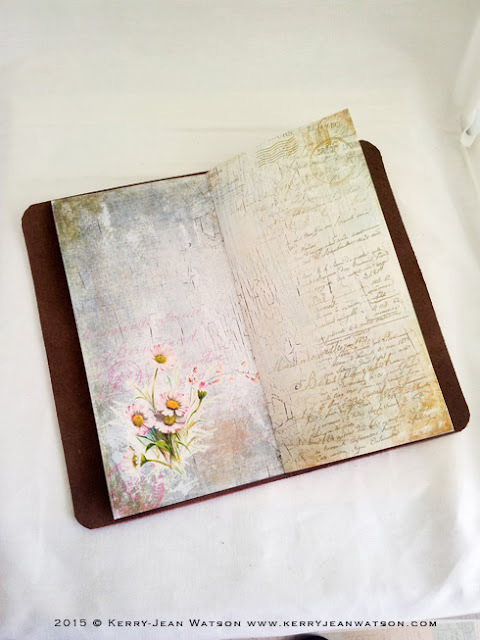 Have a watch of the youtube video of the flip through to see how I did the pages. 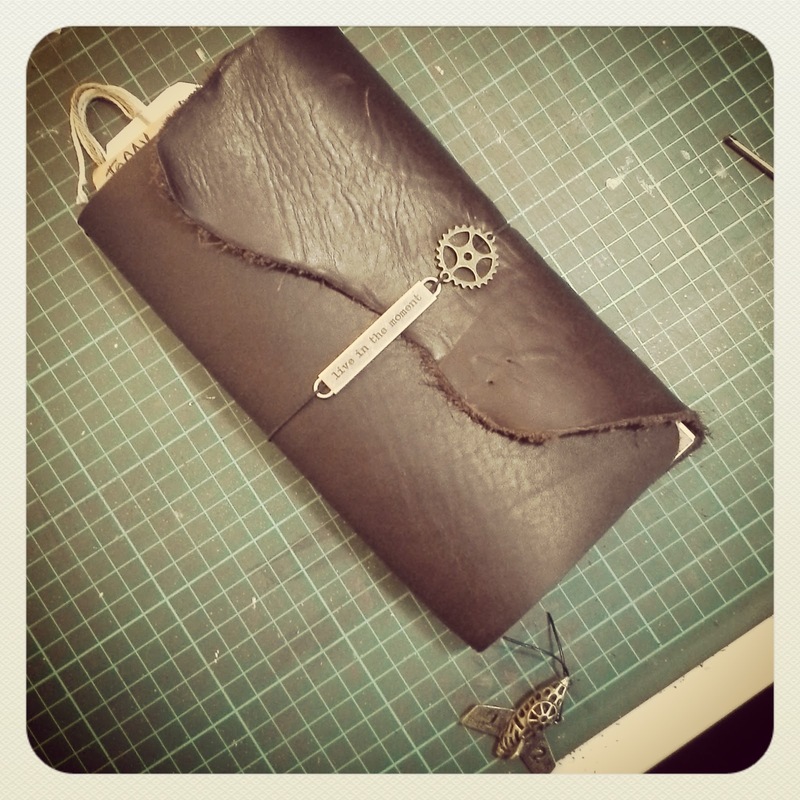 Remember to comment or leave a question and as always Happy crafting! 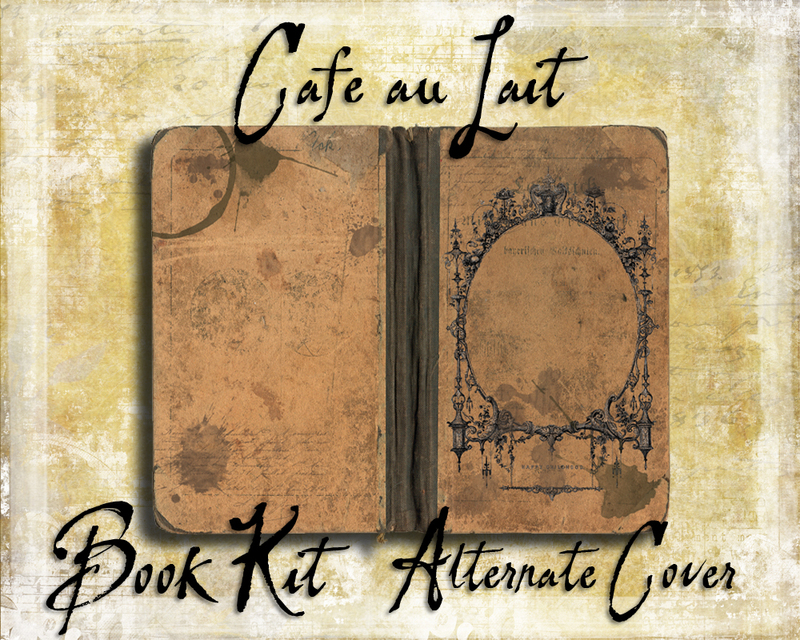 So for anyone who liked the Cafe au Lait Book Kit, I have some add ons! Stay tunes to see video of the alternate pages when I post the book kit project I have been working on. Buy it! Download it! and print it at home! Cafe au Lait: Layout "Mischief"
Well Hello all, great to see you back again. I have been very busy with this new collection, really loving it and I hope you are as well. This layout is of a friend, and the title is very fitting. There's mischief in those eyes. He is a big kid and revels in the that fact, be he is very kind and caring man at the same time. 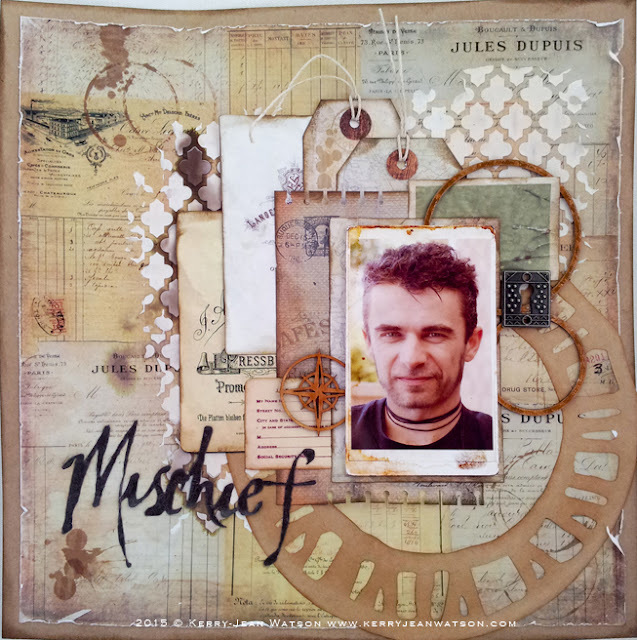 I have used the 12x12 Cafe au Lait collection for this layout which was printed on 80gsm and really held up to the texture paste and spray that I threw at it. 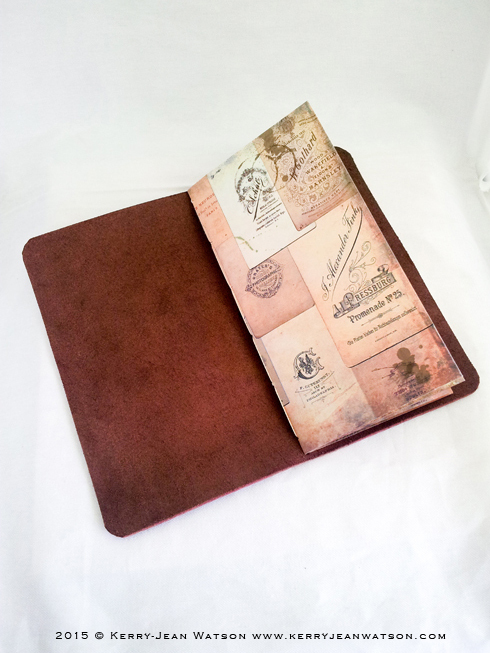 The page I used that first glued to a cardstock backing to fill it out to the 12x12. The "Mischief" title was cut using my cameo, love that thing but i just don't use it enough. 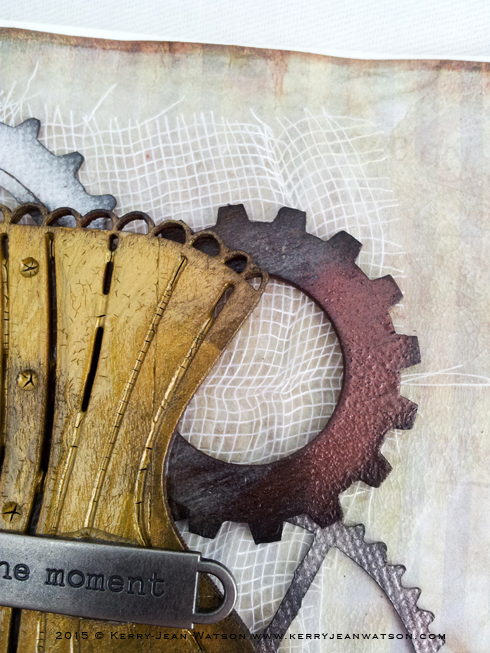 I covered the title in some glossy accents for the final effect. 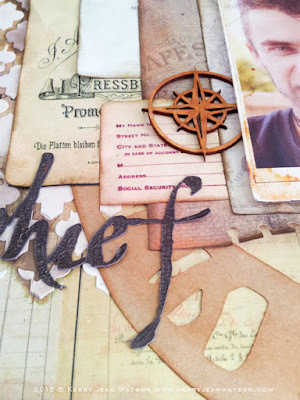 The circles and compass rose are from Creative Embellishments which I just love. 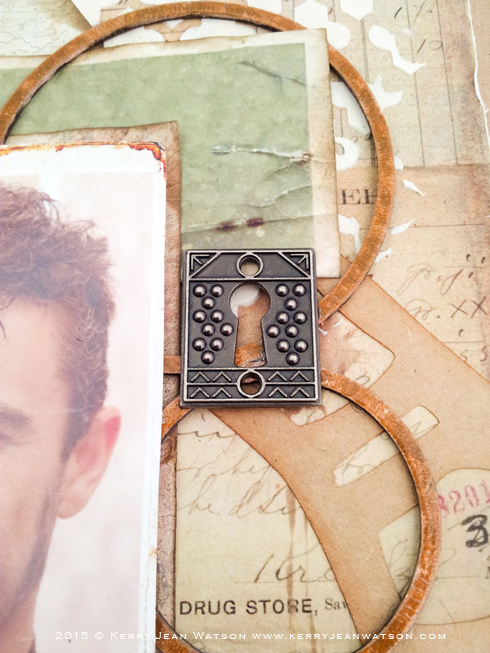 Adding the Keyhole just broke those circles up a little. 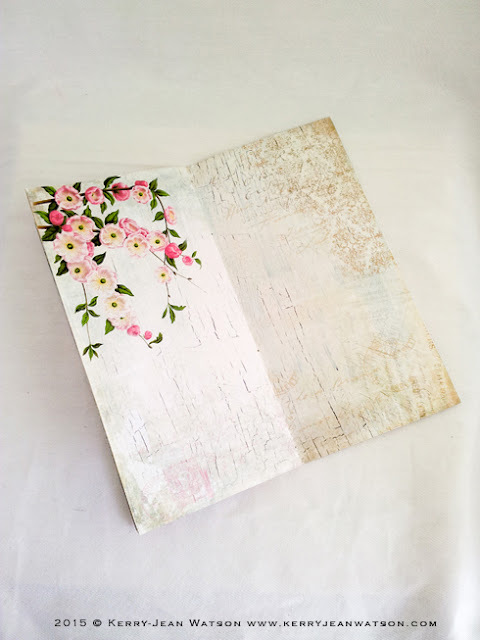 All the papers behind the photo are from the cut and create page of the collection which are included in the Digital Paper Pack. Please remember to leave any questions or comments below and happy crafting. 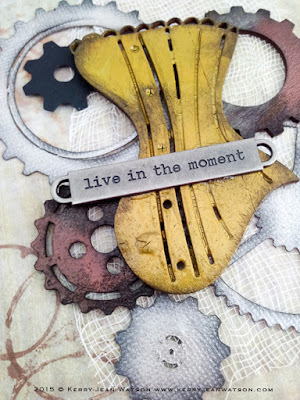 Hello crafters and passer-bys, I hope you are all well and looking for some inspiration. 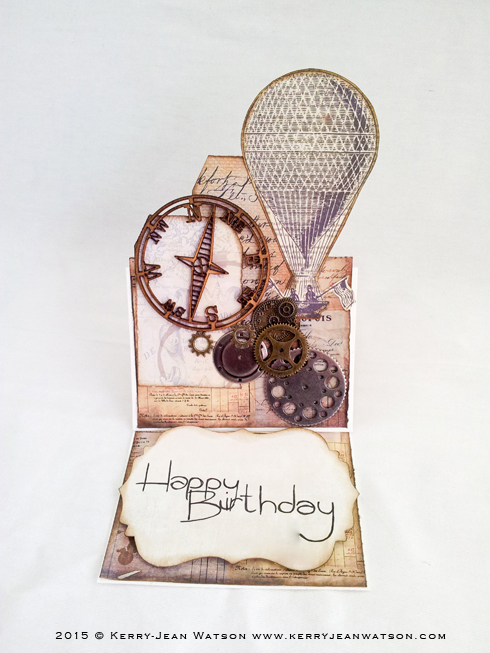 I have another card in the Cafe au Lait collection which I made in a bit of a steampunk theme. Rather than doing is traditionally for a guy, I made this one for a girl. I used the cardmakers set for this card which, I feel, gives a good size to work with. The Kaisercraft bodice was coated in some antique bronze crackle paint and the gears in the background where given the old rust treatment. The one thing that I could not get to show up well on the photo was a layer of clear crackle I put down on the background before adding all the delicious elements. Please leave a comment or question below and HAPPY CRAFTING! 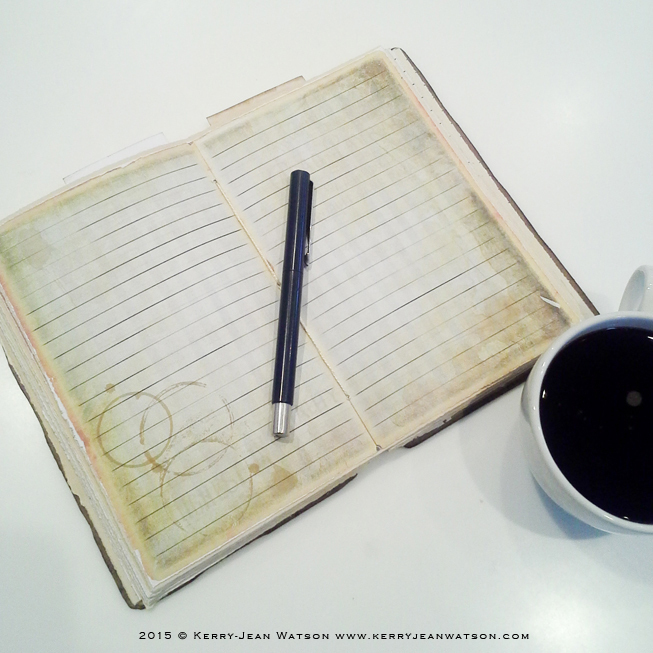 This is My Midori, there are many other like it, but this in MY Midori. 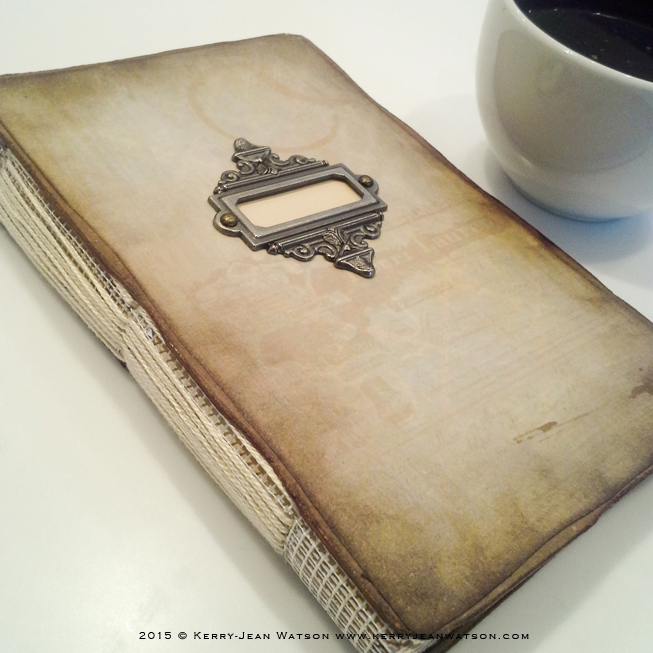 I made myself a midori/fauxdori a while ago now and have been creating my own booklets/inserts. 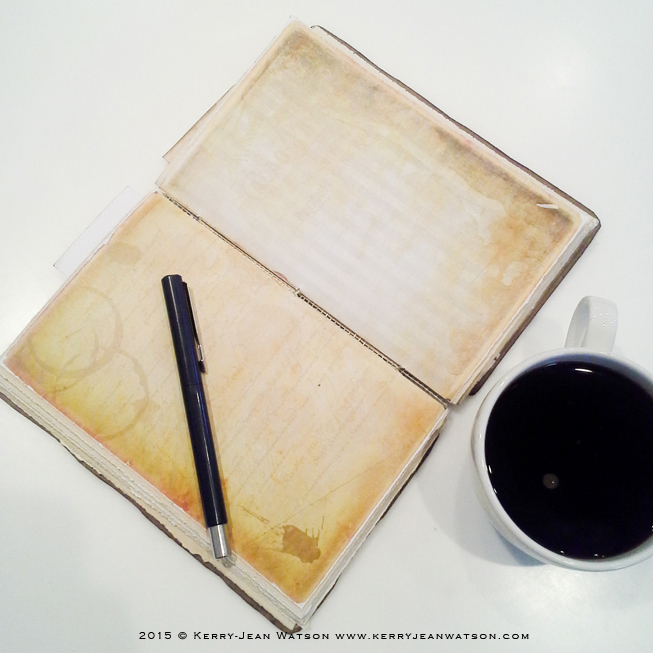 I am a big fan of Patrick Ng's Chronodex which makes a lot of scenes using as my planners for daily tasks. 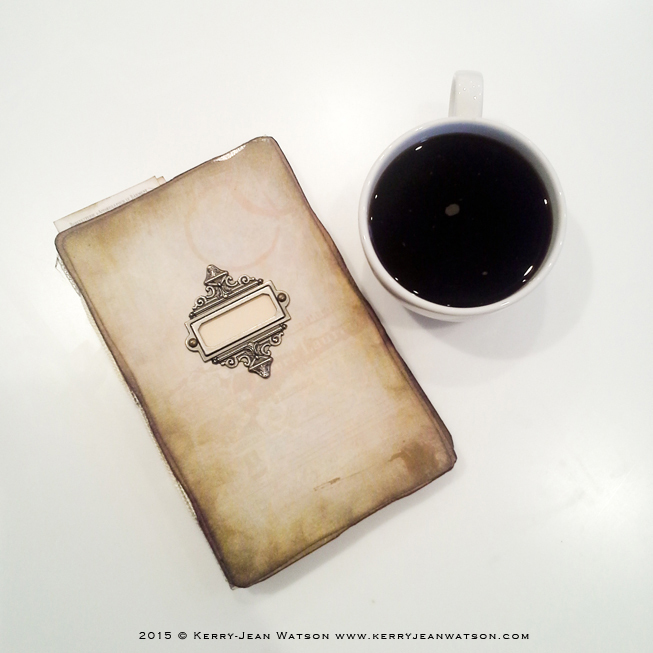 I ended up downloading and creating a Chronodex booklet using Patrick's planner printable which is created to fit the Midori Traveler's Notebook. 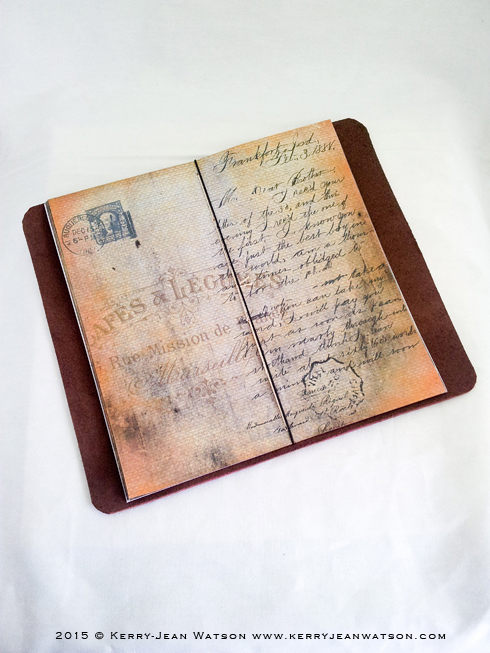 After printing and prepping the booklet for folding and sewing I realised it is the same size as my digital papers when printed on A4 papers. So of course I made a booklet out of my papers.